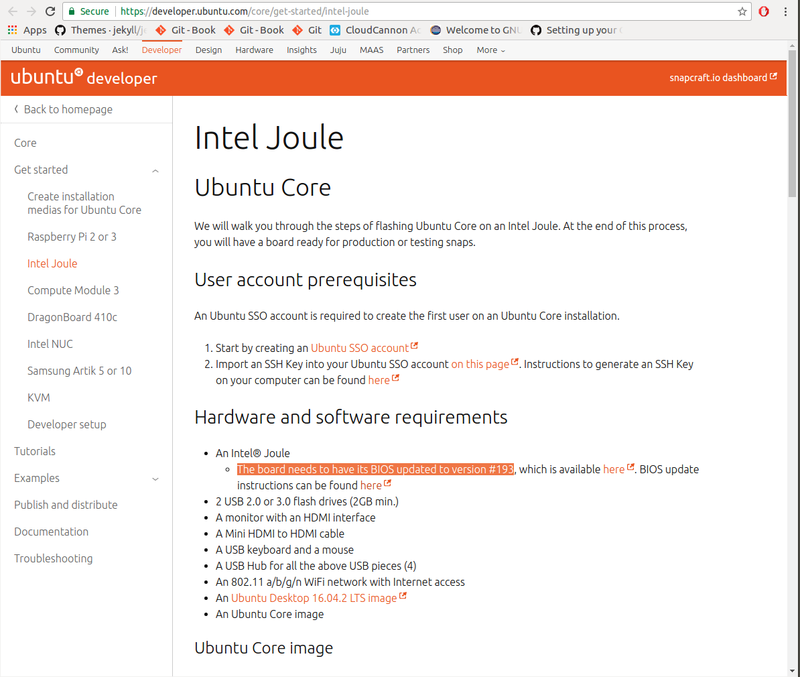 In order to install Ubuntu on Intel Joule, the bios firmware v193 is required. Ubuntu not running properly or Joule's HDMI port not working properly. Be sure to maintain the Intel Joule BIOS version at 193.